STOP! Don’t hop anywhere…you’ve reached the 5th Notion Commotion….right here! First, thank you for visiting/hopping around the Notion Commotion! Let me introduce myself. I’m Debbie Wendt owner of Wendt Quilting. (Pronounced “went”, I just love a play on words!) I started my business in 2007 when my binding tool, Brilliant Bindings first hit the market. It was picked up by Checker Distributors the same year! Brilliant Bindings was designed for making bindings with perfect mitered corners and no fuss joining of binding end seams. It has complete color instructions with photos to take you through all the binding steps. Brilliant Bindings has proven to be the best, easiest and most versatile binding tool on the market. Not only can you use it for bindings, it is used as a template in cutting pieces for making quilts, a marking tool in constructing mitered borders, handy square up for blocks up to 2″ unfinished, marking 1/4″ sewing lines and the 45 degree edge is a great “wooden iron”. Brilliant Bindings is not limited to one binding width. The tool is 3″ wide so it can easily accommodate most bindings we use. If a binding is wider than 3″, you can turn the tool to accommodate wider bindings. The next two photos below show how to use Brilliant Bindings to finish the binding tail ends. The first is Brilliant Bindings on a 2 1/4″ wide double fold binding and then on a wider faux piped binding. Brilliant Binding on wide binding. The quarter inch lines on Brilliant Bindings also allow the tool to be placed on strips and used as a template for many quilt designs! Works well with “jelly rolls” 2 1/2″ strips, 3″ strips, and even charm squares. Any pattern on my website with “Tool” or “Brilliant” in the tile uses Brilliant Bindings as a template for cutting pieces for that pattern. I am excited to introduce the latest pattern released at Spring Market, Twirl-A-Tool, shown at right. This unique block is my original design! Included in Twirl-A-Tool is directions for a faux piped binding! I’m also excited to share Brilliant Bindings video demo. You can view it from the homepage of my website. Click here to go directly to the video. Be sure to checkout the free patterns on the website. One freebie is directions on how to “Create Mitered Borders using Brilliant Bindings tool.” Yes, indeed for mitered borders! If you leave a comment below you’ll be entered into a drawing for a Brilliant Bindings tool (1/8″ thick for ALL quilters) and Twirl-A-Tool pattern. I’m doing a second drawing for joining my e-mail/website newsletter. Sign up on Wendt Quilting. The newsletter winner will get to choose which “tool” or “brilliant” pattern they want to go with a Brilliant Bindings tool for ALL quilters. That makes two chances to win! And a bonus…(but wait there’s more- I just had to say that! )…yep, a third…if you are longarm quilter, please say so in your comment on my blog and you’ll be entered into a third drawing for the 1/4″ thick Longarm version of Brilliant Bindings tool. The longarm version is 1/4″ thick for use with your longarm and has complete color instructions for binding your quilts before you remove them from the frame. It also includes domestic machine instructions. Cool tool giveaways for hot summer days and nights! 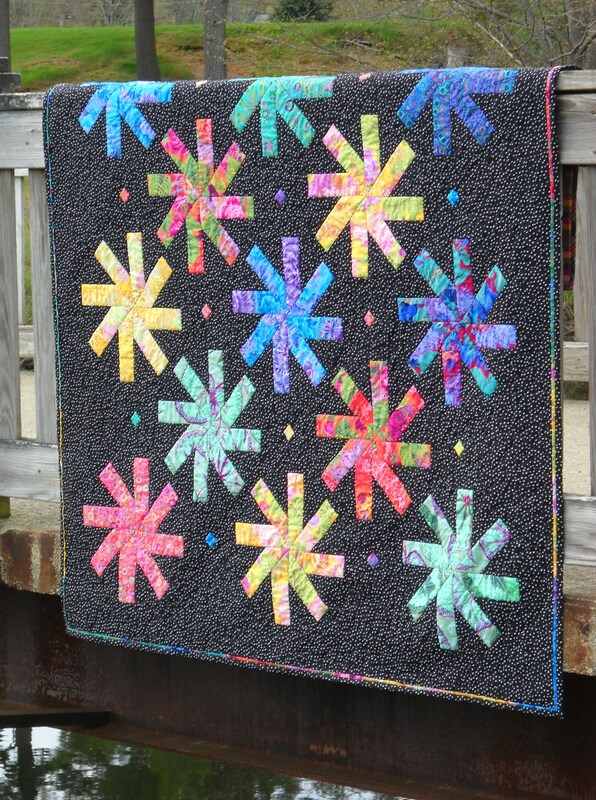 Wendt Quilting winners will be drawn and announced on Friday July 18th after the last notion. Enjoy the commotion! This entry was posted in Brilliant Bindings, Notion Commotion, Patterns, Tools. Bookmark the permalink. I love tools that can make things easier, especially when they multitask. Thanks for the opportunity. Great idea for a perfect binding! Would lovevtonhave perfect bindings. Sometimes my corners are perfect but not always. What a neat tool!!! That is the hardest part for me…….figuring out the 45 degree cut. I have a knack for getting it wrong! Thank you for the chance to win! 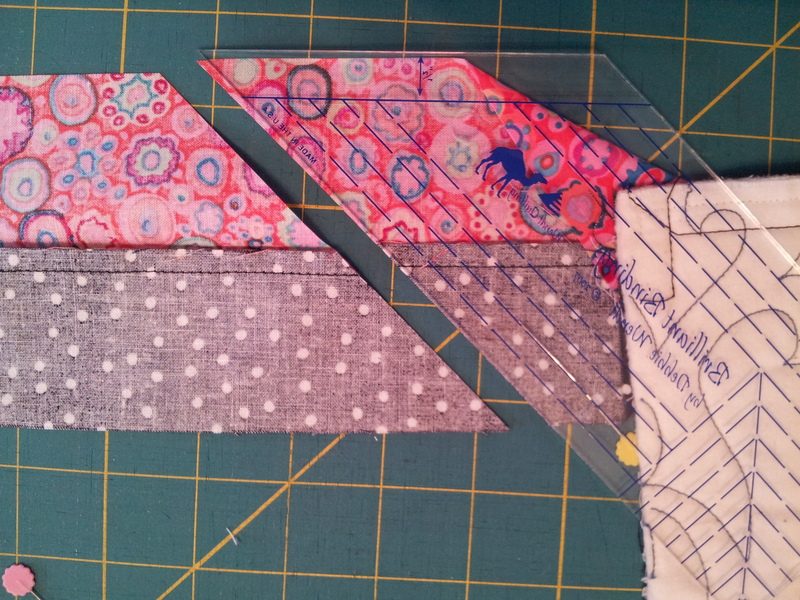 Pingback: Seams Like a Dream Quilt Designs — Notion Commotion Blog Hop Day 5! Cutting binding endings is so stressful for me. I fear destroying all the work done. Looks like this might help ease my pain. Love a tool that has more than one use! Such a nice giveaway! 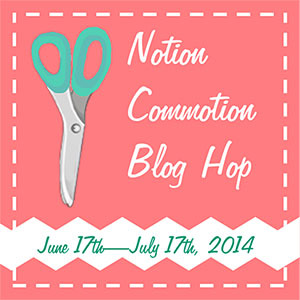 Am loving the Notion Commotion Blog Hop….learning about lots of new things! Thanks! Wow, what a great tool! I love the Notion Commotion. 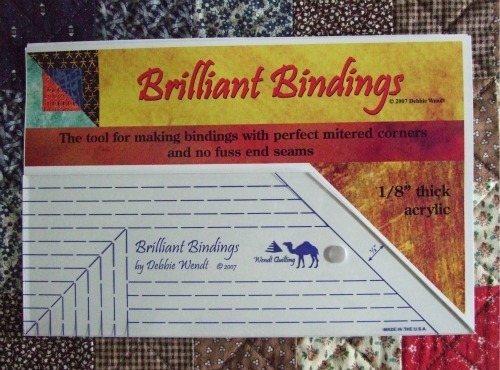 Your Brilliant Bindings tool is just what I need to help me make top-notch bindings for my quilt! Brilliant Bindings tool sounds great. I have a sewing room full of notions (hence “Notion Commotion”! at my house). However, I don’t have your binding tool—how did I miss that one! I think I have to have it-my quilting life would be so much easier with your Brilliant Binding Tool to add to my “Notion Commotion”! love my quilting notions; love your binding tool … much better and more versitile than the one I have. would enjoy using this as I work on my projects. I often refer myself a “notion queen” since I love notions that save me stress and time. Great notion for binding. Wow that looks like a really good tool. This is indeed a cool tool! Would love to try it. Thanks for a chance! Wow! This looks great. I haven’t seen your tool before, but would love to try it. I have a longarm and I would like to see how you use your binding tool on it. Thanks for the giveaway. That sounds really helpful! Would love to try it. This looks like a handy tool. I’ve never seen this before, perhaps I’ve been living under a rock! You can never have to many tools. I want my sewing room to grow up and be just as full of “tools” as my husbands workshop. This looks like a perfect addition to my goal. I saw you demonstrate your tool in Lancaster last year and have since wished I bought it. Maybe I’ll be lucky enough to win! Thanks. What a great tool. I love how you found so many ways to use the tool beyond just the binding. Thank you for a chance to win. The miter tool looks like a cool tool! Oops–forgot to mention that I am a longarmer! What a neat little tool! I hate the binding ending. I always have a problem with it. What a neat versatile tool! 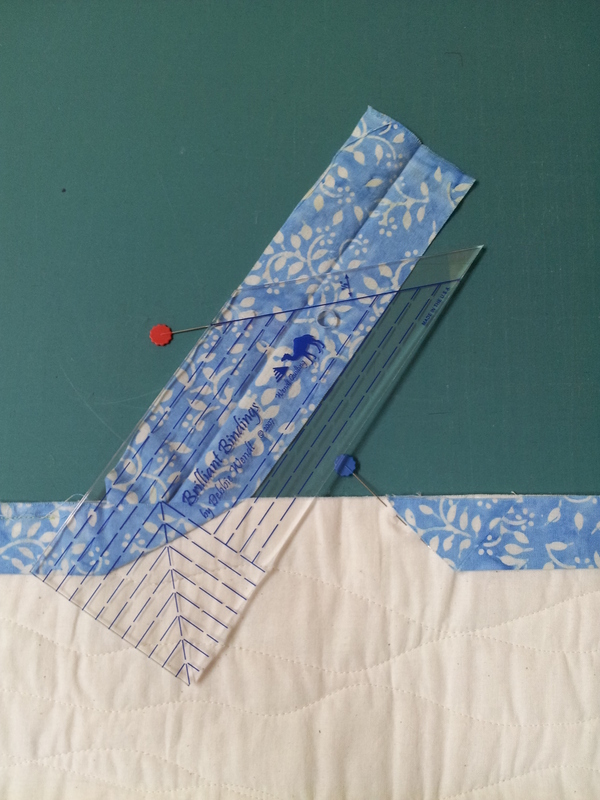 I am a longarm machine quilter and am very curious as to how one can bind their quilt while still on the machene. I would love to be able to do that! thanks for the opportunity to have a chance to win the tool and/or pattern! I’m always looking to learn to use new tools. Thanks for the chance. BRILLIANT BINDINGS SOUNDS LIKE THE BEST! Binding a quilt is my least favorite part of quilting – thank you for making it easier!!! Awesome tool! Yay for great tools! The brilliant bindings looks fabulous! I’m a few days behind commenting. Found you though the schedule on Kris Poor’s blog, Poorhouse designs. 🙂 I need to get better with my binding. Sometimes I get in too big of a rush, and it looks that way instead of a beautiful brilliant binding. This looks a great idea – I can never get a neat finish on my bindings! Great to see all the comments! Keep them coming. One week to the drawings!! This looks like an interesting tool. I like mitered borders, but can’t seem to get them to look right. Thanks for the give away. Anything to make cleaner bindings is much appreciated. I would love any help I can get with my bindings. Thanks. This would be a great help for joining the ends together. I love tools, too…esp when they make my sewing easier. I love tutorials, too, to teach me.